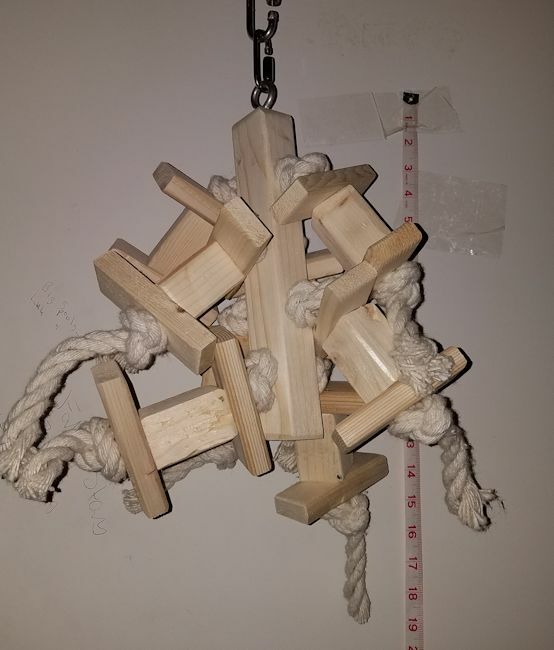 A shorter version of our Blockasaurus toy - this one has four strands of 1/2" Superior cotton rope with sets of natural pine blocks -- all suspended from a 2x2" pine piece that is 10" long. All suspended from a stainless steel eye bolt and large stainless steel quick link. 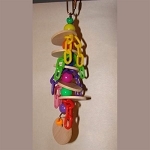 A great safe chew toy for your larger Macaws, Amazons and Cockatoos!